Chances are if you like Open Source and Linux you like Android, since it’s both Open Source and Linux. Quite ironically though many new Android devices, specially the very Open Source community friendly Nexus line, don’t support the USB Mass Storage Protocol, instead Android relies on MTP (Media Transfer Protocol), sadly it doesn’t quite work in Linux distros, although you may get MTP to work you’ll get transfer speeds of around 5 Kb/s or 17 minutes to transfer a 5 Mb MP3 (if you’re in this kind of situation, of either not being able to transfer anything or transfers taking forever, you probably ended up with a cool, but annoying if forced, wireless workaround like AirDroid). Thankfully, there’s a solution. 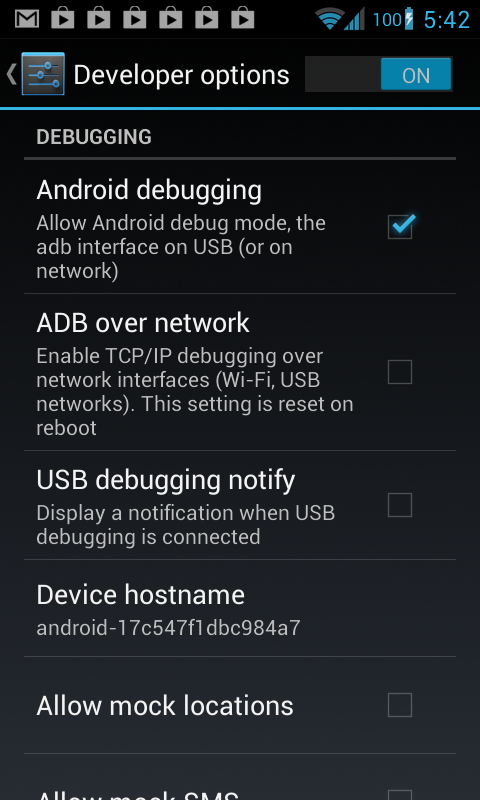 Android has a command line tool known as ADB (Android Debug Bridge) which has plenty of options for developers, among those, transferring files between your computer and your Android Device. If you’re using Netrunner, since is packed and ready for almost everything you throw at it, you already have it. So this is basically all you need to know to transfer files using ADB, but as you may have notice it isn’t precisely convenient if you don’t like the terminal or very user friendly, but don’t worry! 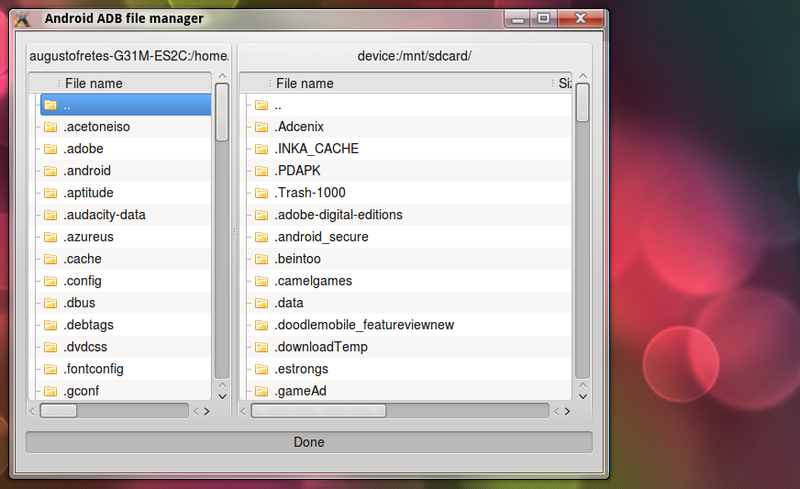 Now that ADB is working we can install a nifty tool (a frontend) by a developer named Sole (I’m guessing is short for “Soledad” since she’s from Barcelona): The Android ADB File Manager. Just a warning, according to the developer when dealing with large files it seems as if the app has hanged, but in fact is just waiting for ADB to finish, I’ve yet to experience this behavior, but if it happens to you, don’t worry. So there it is, I hope this has help some users, finally you can transfer files from Netrunner to your Android Device at full speed, now all that remains is enjoying how well both of your devices work together. ← Windows 8: How does it compare to Netrunner? Thanks, worked very well, took me some time to find this, can’t understand why Android (opensource linus) can’t easily connect to linux systems!